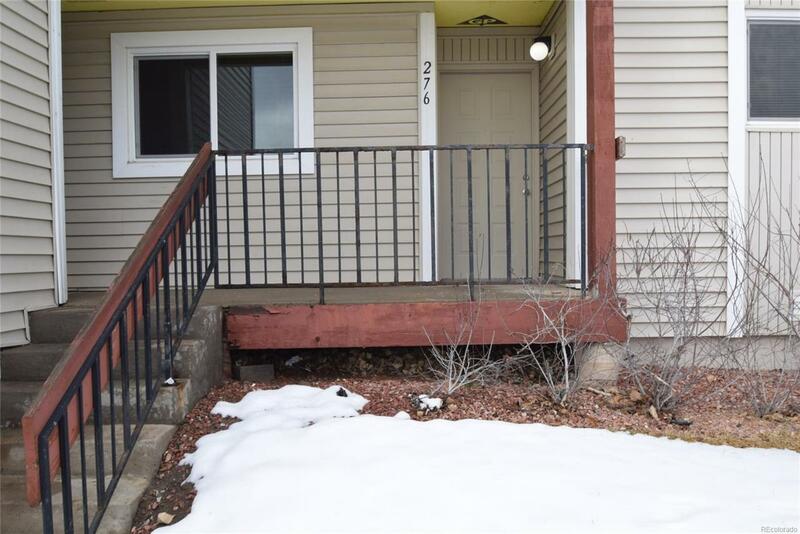 This first floor end unit is in a great location. At the end of the old phase and new. Mountain views out back can be enjoyed from the covered patio as you look over the beautiful common area. Good room between buildings. Lots of upgrades here. New windows and slider (2 yrs), hot water heater (2 yrs), new furnace, new carpet, new paint throughout, kitchen and entry floors, very good closet space in this unit. Entry closet, pantry, hall linen, and larger than normal bedroom closets. Small exterior storage closet off patio. Three bedroom unit with a half bath off the master. Great starter home or investment! Offered by Horst Mountain Properties.